Is Moving a Challenge? We can help! We strive to be the best physiotherapists we can be; to give you the best physiotherapy treatment available; to help you feel the best you can and function at your best. We aim to restore the highest level of pain free function for each one of our clients. 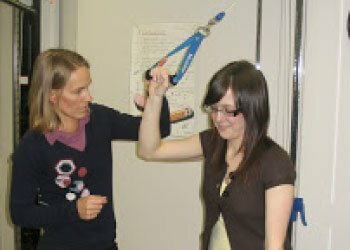 We are committed to offering personalized assessment and treatment techniques with physiotherapists who are committed to maintaining a high level of continuing education in manual therapy skills and complementary therapeutic techniques. We believe that in combination with manual therapy, proper exercise is important to gaining and maintaining an active lifestyle. We maintain a facility that offers adequate space, a large selection of the therapeutic and exercise equipment to enhance our treatment techniques and a friendly but professional environment. We aim to promote the physiotherapy profession by making your experience with physiotherapy a favourable memory. The clinic is approximately 3000 sq feet, and has a large reception area, 9 treatment cubicles, 2 private treatment rooms, 2 whirlpools and a large well-equipped workout area. Please see Services for information on the services we provide and our treatment fees, and FAQ for physiotherapy coverage and our direct billing policies. We offer quick access to physiotherapy – NO WAITING LIST. You do not need a doctors referral to be seen by a physiotherapist. The clinic is centrally located in the lower level of a handicap friendly Medical Building at 400 Tache Ave, right across from the St Boniface Hospital. See Google Map. We are open Monday thru Friday, 7 am to 7 pm. For those driving to the clinic there is street parking available (both free and metered) as well as a parking lot behind the building. See parking map . 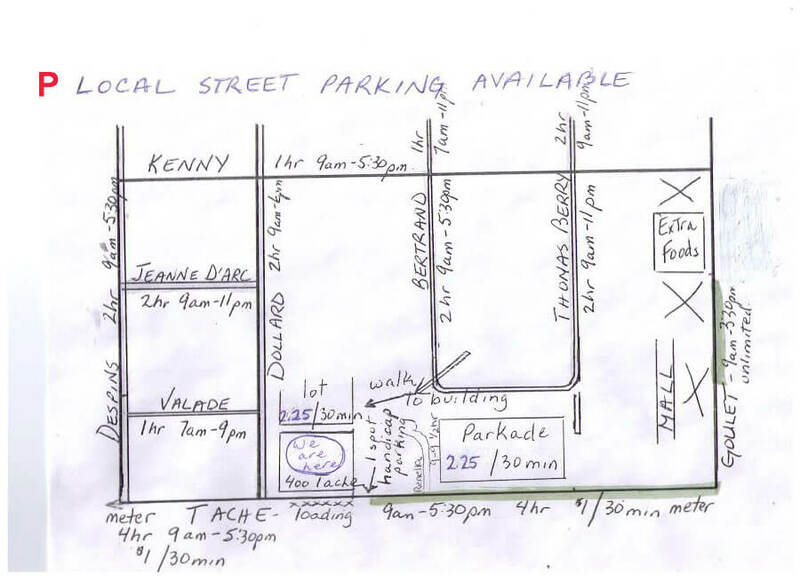 We offer 30 minutes of free parking for clients who park in the lot behind the building. 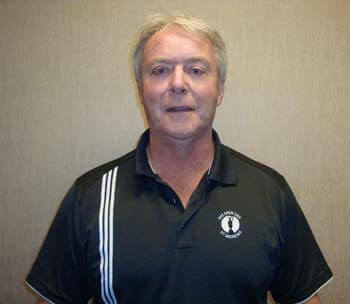 Doug graduated from the University of Manitoba, faculty of Medical Rehabilitation, Physical Therapy in 1976 and has practiced in Private Practice in Winnipeg ever since. Doug has devoted his career to the treatment of persons with orthopedic or sports injuries. 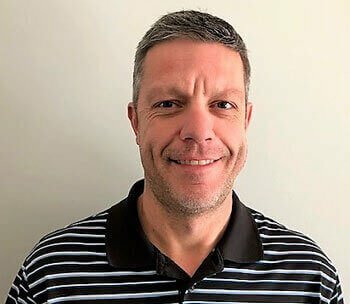 Doug has extensive postgraduate training in the area of joint manipulations and mobilizations as well as having attended numerous courses providing focused specialized approaches to the treatment of soft tissue and joint pain and injury. In his approach to treatment, Doug integrates the techniques he has found to be most beneficial clinically, to provide the best outcomes for the people in his care. During his career, Doug has been active in the treatment of athletes. He was chosen to be a member of the Medical Team at the Olympics, he was the trainer for the Canadian Mens Cycling Team and he has volunteered as a physiotherapist and on the organizing committee of many international, national and local sporting events. As an athlete himself, Doug’s highest achievement in sport was being a member of the Canadian Men’s Water Polo Team. He continues to play organized hockey and curling, but his current passion is golf. Doug has trained in level 1 and 2 of the FIT for GOLF program for physiotherapists, and is very active in the treatment of golfers. Doug recognizes the value of physiotherapy and has been active in the growth of the profession. He has volunteered his time to the Canadian Physiotherapy Association, the College of Physiotherapists and the Physiotherapy Alliance. Cathy graduated from the University of Manitoba, faculty of Medical Rehabilitation, Physical Therapy in 1978, where she was honored with several awards for academic excellence. During the first five years of her professional career she gained general experience in a hospital setting. 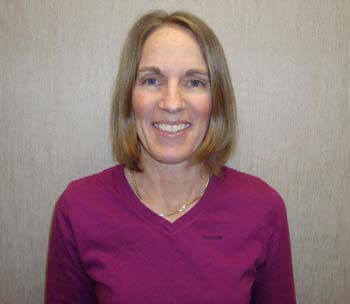 Since 1983 she has worked in private practice at Doug Christie Physiotherapy. Cathy has set a goal for herself to help everyone who comes under her care. To help achieve this goal, she has pursued extensive post-graduate training in a variety of approaches to manual therapy, exercise therapy, soft tissue manipulation techniques and most she recently has focused her post graduate training on the rehabilitation of dizziness and vertigo. Exercise therapy is a passion of hers. She offers a specialized program for pregnant women. She also offers a program in healthy living instruction. She is certified in acupuncture and has been using the technique for 25 years. She includes auricular acupuncture in her treatments regimes. Cathy has volunteered her time to support the work of the Canadian Physiotherapy Association, Manitoba Branch, working on both the public relations and professional development committees. She has volunteered her time to offer several educational seminars to the public (athletic and senior groups) to the workplace and to physicians in training. Darryl graduated from the faculty of Medical Rehabilitation at the University of Manitoba in 1998. He has been practicing in Winnipeg since his graduation and has enjoyed working primarily in the private practice setting. Darryl has had opportunity to learn from several outstanding clinicians by working alongside them, and has also been very aggressive in pursuing his postgraduate education. He has taken dozens of courses in the areas of joint mobilizations and manipulations, soft tissue and dural mobilization, exercise guidelines and prescription, workplace ergonomics, orthotics and acupuncture. He has been certified in acupuncture since 2004 and has used this as another tool in his toolbox, as he treats people of all ages with many different musculoskeletal / orthopedic and neurological conditions. Aside from Darryl’s work at the clinic he has volunteered at many local provincial, national and international sporting events. Darryl loves spending his free time with his family. He also enjoys being active. He participates in/coaches many team sports – volleyball, basketball, soccer, baseball, sponge hockey, ultimate and curling. Stephen received a Bachelor of Arts degree from the Université de Sainte-Boniface prior to graduating from the University of Manitoba in 2013 with a Bachelor of Medical Rehabilitation in Physical Therapy. He has been working at Doug Christie Physiotherapy since graduation. Stephen focused on achieving his dream of becoming a physiotherapist for 7 years post high school, and once he reached this goal he saw no reason to hold back on his pursuit of continuing his post graduate education to further develop his education and skills in the area of sports and orthopedic physiotherapy. Stephen has now completed his certification to practice acupuncture. He has attended several post graduate courses focused on manual physiotherapy (assessment and treatment skills). And he has attended special interest courses on running injuries, power lifting training, and pilates. And he has no plans of slowing down! He intends to continue to expand his knowledge in exercise and wellness and blend this knowledge with his manual therapy treatment approach for the patients he sees. Outside of work, Stephen has a passion for golf, football, hockey, running, weight lifting, cooking and ever since going on a 3 month backpacking trip through Europe, he has developed a love of travel. Trevor graduated in 2007 from the University of Manitoba with a Bachelor’s Degree in Medical Rehabilitation, Physical Therapy. Since that time he has worked at Doug Christie Physiotherapy and Ste Anne Physiotherapy, and Lorette Physiotherapy, all of which are sister clinics. Professionally, Trevor has focused his clinical work and his post-graduate courses on developing a high level of expertise in clinical reasoning and manual therapy skills. His thirst for knowledge and his desire to help everyone who comes to see him inspired him to enroll in a Clinical Master’s program at the University of Western Ontario. He trained with a group of highly respected and educated clinicians and professors. 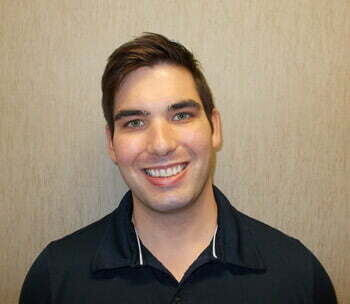 In July 2014 he successfully completed this program and has joined a small group of accomplished Physical Therapists in Canada who have achieved the designation of a Masters in Clinical Sciences in Manipulative Therapy and is now an FCAMPT (Fellow of Canadian Academy of Manipulative Physiotherapy) therapist. This advanced training, coupled with his certification in acupuncture, give him plenty of tools to accompany his efforts to help everyone he sees reach their personal goals of treatment. Personally, Trevor is surrounded by Christie physiotherapists; his father Doug, his mother Cathy and his wife Hilary. 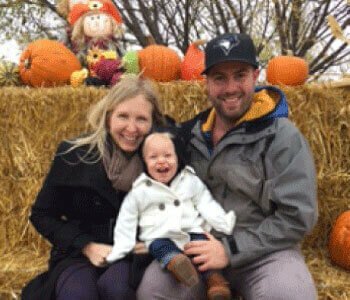 Trevor and Hilary welcomed their daughter Quinn to the world in October 2015. As of now it is unknown whether she will join the profession. In his spare time he likes to play hockey, golf, slow pitch, spongee, fish and socialize. He enjoys dabbling in home renovations, going to the Jets games, playing fantasy football and going to the lake in the summer. Manual therapy involves the physiotherapist using their hands to impart treatment techniques to your body. These are skillfull and precise techniques in which physiotherapists have specialized training. The aim of manual therapy is to normalize and optimize the function of the joints, muscles and nerves in your body. The physiotherapists at Doug Christie Physiotherapy are committed to advanced education in the application of and execution of these techniques. Manual therapy can involve mobilization or manipulation to your joints and soft tissues or massage techniques to your muscles, tendons, ligaments and connective tissues, and treatment techniques to your nerves. We believe that the right exercise is a powerful treatment tool, but the wrong exercise is harmful. Most physiotherapy treatment plans include instruction in the exercise that is appropriate for your body and your condition. Exercise may include strengthening exercise, aerobic exercise, core stabilization exercise, balance exercise and/or stretching exercises. 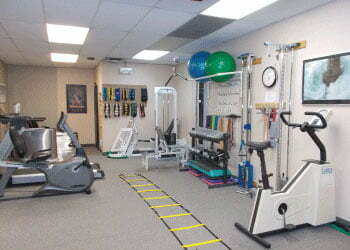 The clinic is well equipped with exercise equipment. And we provide personalized handouts for home exercise programs. Exercise instruction and advice is unique for the pregnant woman. This instruction is available to guide you in safe and beneficial exercise and activity. Healthy living is a way of life. Exercise and sensible eating are key to a healthy lifestyle. This program offers you personal guidance in evaluating your current lifestyle and understanding and implementing the changes necessary to help you achieve a healthy life style. This program may not be covered by your physiotherapy benefits in your private insurance. This program concentrates on improving the physical capabilities of the participant to meet the demands for the client’s work and personal activities. Physiotherapy treatment for an injured body part is included as necessary, but should not be the main focus of the program. The program includes daily sessions of 2 to 4 hours in duration for a period of time (usually 4 to 6 weeks). Goals are set and a physical evaluation is performed at the start and end of the program. Single use acupuncture needles are inserted to stimulate pain control and promote healing. Electricity may be connected to the needles for electro acupuncture. Physiotherapists must have special training to be licensed to provide acupuncture. 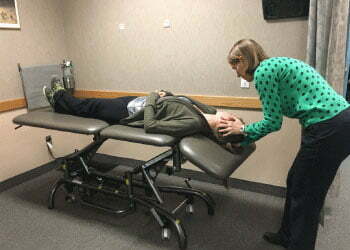 Ultrasound is used to promote healing. Electrical muscle stimulation is used to promote muscle strength recovery or reeducation. Interferential current and TNS are used to offer pain control. This is a therapeutic laser. We use a terraquant laser machine which generates a super pulsed low level laser in combination with infrared light, visible red light and a safe dose of electromagnetic radiation. This unique combination of radiation has beneficial effects on the cells of the body, promoting tissue healing and providing pain relief. This is the trendy term for mechanical traction. The term is new, but the technique is not. We have offered mechanical traction for the neck and back for over 30 years. We believe it is essential to promoting your timely recovery that we teach you what to do to reduce the strain on your body during daily activities. And to help protect you from recurrent injury, we believe that educating you in exercise techniques, joint protection techniques, ergonomics and posture is important. Protective taping can promote healing from injury by reducing the stress on the ligament or muscle. It can also be used to protect a joint from injury especially when one is returning to activity after an injury. We also offer kinesio taping techniques used for muscle re-education. We use the footmaxx system. This involves an evaluation of the time and amount of pressure on your feet while walking. This information is recorded while you walk across a sensitive force plate. The therapist will add to this information any relevant clinical information and all of this information will be used by the lab to make a pair of custom orthotics for you. From the time you are scanned to the time you get the orthotics is usually within 5 to 10 days. Some insurance companies are asking for a 3D image of the foot. In this case we will use the new footmaxx 3 D scanner or a foam cast to supplement the force plate scan to meet the requirements for the insurance provider. Dizziness, vertigo and reduced balance are common problems and should be treated by a therapist who has focused postgraduate training in this area. Compromised function of the vestibular system (inner ear) in a common source of these problems. Specific testing helps to determine the cause of the balance issues and determine the appropriate treatment plan. BPPV (Benign Paroxysmal Positional Vertigo) is a debilitating dizziness that is very successfully treated with a variety of repositioning maneuvers. Other causes of reduced vestibular function respond well to specialized gaze stabilization exercises, habituation exercises and balance exercises. 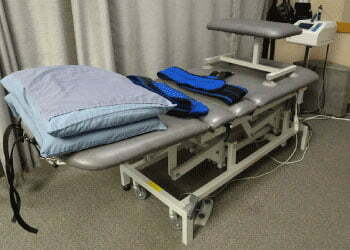 Physiotherapy is not covered by Manitoba Health, but is covered by MPI, WCB and most private insurance plans. We will bill directly to the insurance companies that allow direct billing by physiotherapy providers. Answers For Some Common Questions. Physiotherapy (or Physical Therapy) is a direct access health care profession offering specialized assessment and treatment services for conditions that affect your physical health. Physiotherapy can only be performed by a university educated and licensed physiotherapist. Your first appointment is called an assessment. Expect to be at the clinic for about 60 to 90 minutes. Arrive 10 minutes before your appointment time to fill out paper work on your personal information and to set up direct billing to insurance if you choose to (make sure you have your policy numbers and appropriate forms). During the assessment the therapist will ask you questions about your problem and do the indicated testing in order to arrive at a diagnosis of your problem. And in the event that your problem was not caused by an obvious trauma, the therapist will also look to identify what might be contributing to causing your problem, for example poor posture or poor muscle balance. When the assessment is complete, the therapist will discuss with you the findings and a personal treatment plan. Can My Insurance Company Be Billed Directly? Third party insurance companies make their own policies for direct billing. We will direct bill for all insurance companies that allow direct billing. Some providers do not allow direct billing. Some providers are starting to offer ebilling but this system is limited presently and still developing. Most insurance companies require a tedious method of manual submission of forms with original signatures from the client with each submission. If your provider does not allow for direct billing or if you prefer to submit to insurance yourself, you must pay for the treatments and you are provided with the necessary receipts to submit to insurance. WCB, MPI and DVA do allow direct billing and all of these accounts are submitted directly. Physiotherapy is a direct access medical profession, which means that you do not need a doctor’s referral to attend. If you see a physiotherapist and the therapist believes you should see a doctor for further medical testing (eg xrays) or for medication, the therapist will advise you to see your doctor. Some insurance companies require that you have a doctor referral for reimbursement, so you should check into your coverage. If you are experiencing pain, or your body parts just don’t seem to be working like they should, then there is a good chance that physiotherapy can help you. After you are seen for an assessment, your therapist will be able to tell you more specifically what treatment they have to offer and what would be the expected benefits. See Services for a list of some of the common conditions that benefit from physiotherapy. And if you are still wondering if physiotherapy might help you, give us a call at 204-233-0419. Do I Have Coverage For Physiotherapy? Manitoba Health does not cover physiotherapy at any private clinic. Your questions will be answered as time permits. We DO NOT share or sell email addresses. For your convenience you can request an appointment at dcphysio@mymts.net or call (204) 233-0419. Enter the following details to request your appointment. We will then confirm the appointment with you.